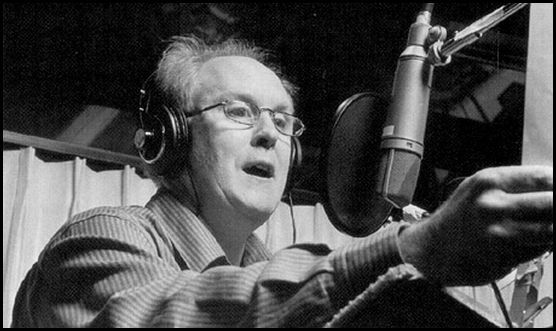 A little known fact to many is that award-winning actor John Lithgow voiced Yoda in the "Star Wars" radio dramas of the 1980s, which included both "The Empire Strikes Back" and "Return of the Jedi." He was also on call in case Frank Oz couldn't voice the Jedi Master in the prequel movies. Below is a video of Lithgow's impression he performed on "Late Night with Seth Meyers." The picture above is of the actor in the studio voicing the character for "Return of the Jedi." Thanks to @StarWarsJunk for the video link.